Protecting Designs from Illegal Copying | Goldman & Minton, P.C. The success of a creative arts business depends on the skill, technique, and talent of the creator. As an artist, you invest your time and energy developing the look, the feel, the style and the overall impression of your creative work. The result of your investment is a unique design you hope will be both appealing and profitable. Perhaps it's graphic design, jewelry design, furniture, or clothing. As with any investment you make, you expect a return​ on your time, talent and inspiration. To have someone copy your design is the same as having your time, talent and inspiration stolen.​ Many creative professionals have had their work taken over and over again. The loss is not always just monetary, it can also be a hard hit to your creative drive seeing your original work with somebody else's name on it. When that happens, illegal copying becomes a double threat to your livelihood. Protecting design work can be a creative undertaking itself. It involves​ weaving together the threads of different laws into a web that can capture the thieving insect when he lands on your design and tries to take it. Also known as communication design, graphic design is the art and practice of planning and projecting ideas and experiences with visual and textual content. Graphic design can be protected by trademark law. A trademark is a word, phrase, symbol or design that identifies and distinguishes the source of the goods of one party from those of others. 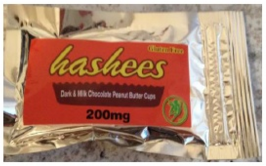 In 2014, Hershey's filed a trademark lawsuit against a manufacturer of pot-infused candy for using "knock-off" labels to sell its products. The concern in a trademark case is consumer confusion. 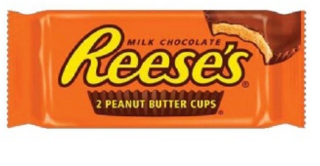 In this case, Hershey's claimed that children (among others) could be confused by the packaging. ​Graphic design as a visual expression of an idea can also be protected by copyright. 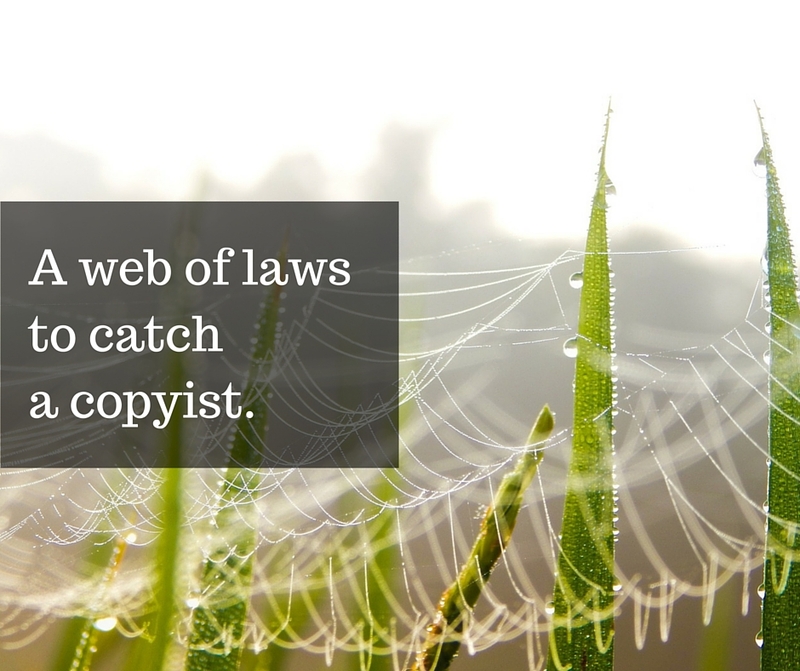 Copyright is actually a group of exclusive legal rights belonging to the author of an original work to reproduce, distribute, perform or create derivatives of that work. 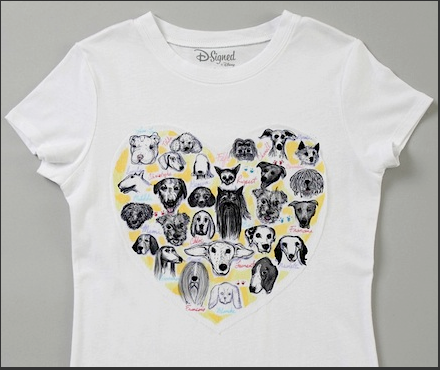 ​In 2011, a Seattle design studio, Modern Dog Design Company sued Target and Disney for copyright infringement when Target came out with a Disney-sponsored T-shirt that incorporated images of dogs from Modern Dog's 2008 book of poster art. ​Proving copyright infringement involves showing that the infringer had access to the original work and that the two works are substantially similar. Modern Dog alleged that Target/Disney saw the liner art in its book using the "Look Inside" feature on Amazon. In response to the claim of substantial similarity, a defense attorney for Target/Disney made the ridiculous comment that because there are so few ways to draw a dog, copying the illustrations from Modern Dog's book could not possibly be infringement. 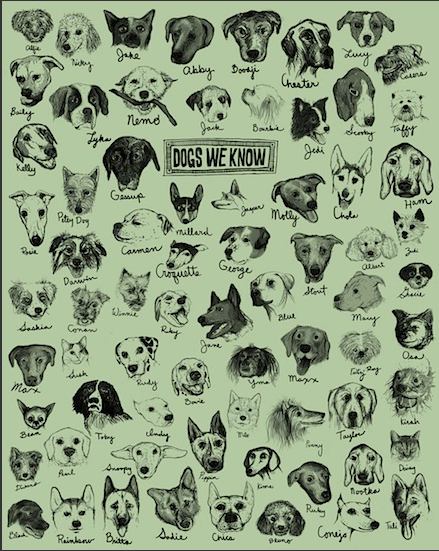 That absurd statement inspired the book 1,000 Dog Portraits From the People Who Love Them full of brilliant examples of the many different ways to draw a dog. Artistic contributions were made by many celebrated artists and designers. Despite what seemed a clear cut case of copying, Modern Dog endured horribly painful litigation which by some accounts nearly bankrupted the studio after Target/Disney engaged lawyers to scorch the earth. Eventually a settlement was reached. 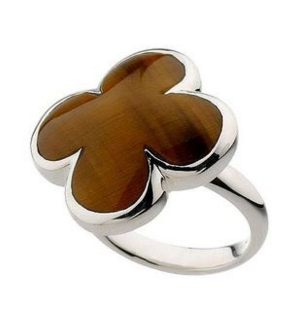 Jewelry designs can be protected by copyright if the piece is original and creative. The Copyright Office considers jewelry to be visual art and Form VA is used to apply for registration. Jewelry can also be protected by trade dress. Trade dress refers to the various visual elements that combine to designate the source or origin of a product. It can include size, shape, color, texture, packaging and labeling. As with trademark, the concern in trade dress is with potential confusion over the source of the product. In 2007, Van Cleef & Arpels brought suit against Heidi Klum for copyright​ and trade dress infringement when she launched her line of jewelry. 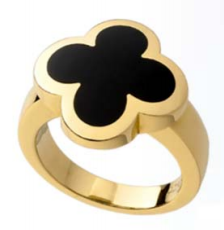 Van Cleef & Arpels had copyright registrations on some, but not all, of its designs but was able to make a strong showing that the quatrefoil design had become associated with its brand over the course of decades. ​The matter was resolved quickly -- Heidi Klum stopped manufacturing and distributing that line. ​Copyright and unfair competition laws have been used to protect pilfered furniture designs even when the design elements used in the furniture are in the public domain. 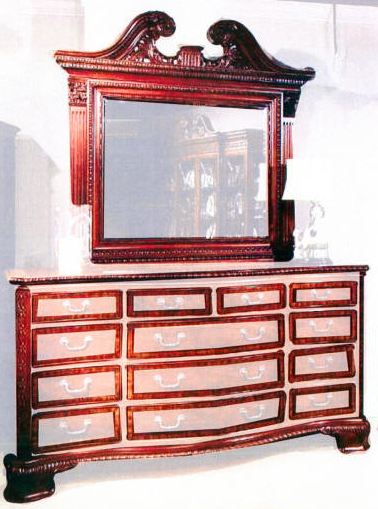 In 2004, Universal​ Furniture sued Collezione Europa for illegally manufacturing and selling copies of full lines of dining room and bedroom furniture. Collezione defended by claiming the furniture could not be protected by copyright in the first place because copyright doesn't protect useful articles. Copyright protects the expression of an idea not functional items. 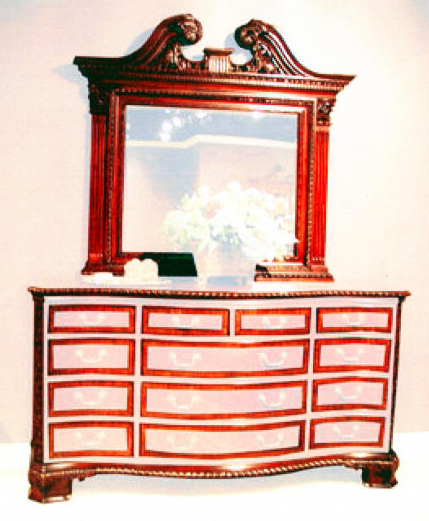 The court decided that the unique selection and adaptation of otherwise common or public domain design elements combined in the furniture to create an original and creative expression that was protected by copyright. Universal obtained a judgment for $11 million based on valid and enforceable copyrights and for unfair competition because Collezione was passing off Universal's furniture as its own at a trade show. Collezione went bankrupt, so Universal went after the owners individually. Six years after the lawsuit began, the appellate court held that the owners were personally liable for their company's infringement of Universal's designs (though at a reduced amount of $1.87 million). Protected elements depicted. Unclaimed elements whited out. Infringing elements depicted. Unclaimed elements whited out. Protection for fashion design is a particular problem because clothing is considered to be a useful article. While all three branches of the federal intellectual property scheme (copyright, patent and trademark) protect certain aspects of useful articles, even when the three areas of law are woven together the protection scheme is limited in the case of clothing design. Copyright protects fashion only as far as the design features sought to be protected can be separated from, or exist independently of, the useful aspects of the article. It is the artwork that is applied to the clothing that is protected, not the design of the clothing itself. Design patents are of limited usefulness in the fashion industry because they are expensive and difficult to obtain. The application process takes such a long time that an article of clothing is likely to be out of style before the patent issues. Trademark is not particularly helpful in protecting fashion because its purpose is to prevent consumer confusion in the source of the product. By its very nature, a fresh, new look is not going to act as a source identifier for the designer. The elements of clothing design that do not identify its source will not be protected by trademark. ​Because of the lack of design protection in the fashion industry, dresses appearing for the first time on the runway in Paris or the red carpet at the Oscars show up days later in fast fashion stores. Designers are nearly helpless to keep their work out of the hands of copyists. When traditional protection methods fail, the only option left may be to beat 'em in the marketplace. This is the route renowned designers Tom Ford and Burberry have taken. They have chosen to release their lines for sale when they show them rather than wait the industry standard of four to six months from show to market. A change in the business model could undermine copycats in fast fashion. 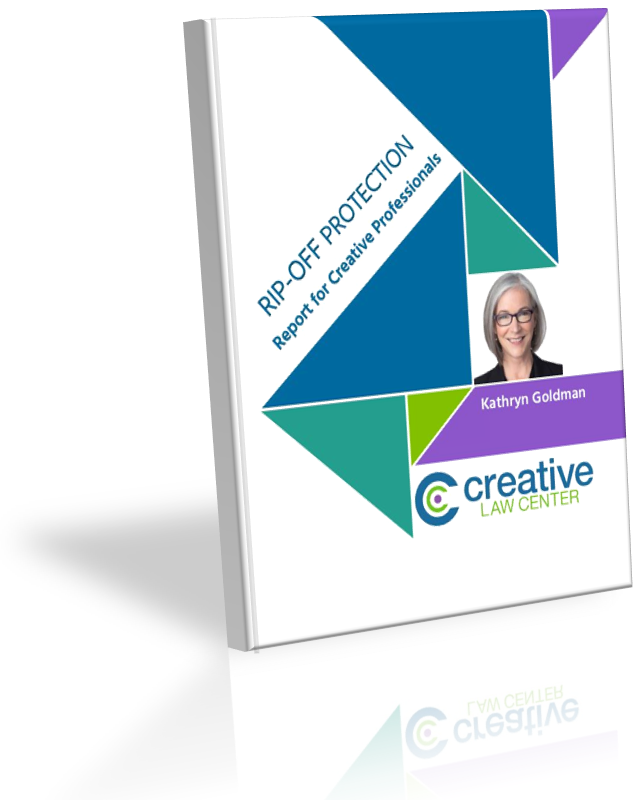 Building a successful business on creative work requires a protection strategy. Your inspiration, hard work and technical skill will be rendered meaningless if you cannot profit from it. Developing a protection strategy means knowing which laws are available to enforce your rights if they are infringed. Thank you for this very informative post. I found the section on trade dress – “the concern in trade dress is with potential confusion over the source of the product” – very interesting. Very interesting and informative post. Thanks for sharing. This was highly informative. I would like to learn more about this. Thank you for all your efforts. Pingback: Running a [Jailhouse] Business: Practical and Legal Considerations | Goldman & Minton, P.C. Protect your creative assets, deter poachers and enforce your rights using these four steps.